The Federal Emergency Management Agency was acutely unprepared for the unprecedented 2017 hurricane season, leaving many providers in Puerto Rico, Texas and Florida in the dark as they tried to recover. FEMA said in an "after-action" report issued Friday that it didn't have the infrastructure in place to share information quickly enough to properly react to hurricanes Harvey, Irma and Maria, which levied $265 billion in damages—surpassing hurricanes Katrina, Rita and Wilma's $210 billion toll. The agency needs to invest in more resilient infrastructure, bolster its inventory of critical supplies, and form closer relationships with stakeholders across public and private sectors. But to adequately do so, FEMA needs to collaborate with utility management companies; state and local governments; and health systems, clinics and other providers, the agency said. The report offered a candid look at what the agency did well and where it needs to improve, said Nicolette Louissaint, executive director of Healthcare Ready, a disaster-response not-for-profit. "The link between federal and state agencies is so critical, and we need to strengthen that connection to best understand the strengths, vulnerabilities and capacities of the systems," she said. Developing stronger relationships between the public and private sector is also essential, particularly when major communication and transportation infrastructure fails, Louissaint said. Ninety-five percent of cell towers in Puerto Rico were knocked out after Maria and outages persisted for months, leaving most of its 3.7 million residents without electricity during that time. FEMA's response was the longest sustained air mission of food and water delivery in the agency's history, according to the report. About a week after Maria struck on Sept. 20, FEMA was operating blind regarding many of the island's hospitals, roads and water facilities. It didn't have data on the status of 24 of 52 wastewater treatment plants or 37 of 69 hospitals. It provided satellite phones to hospitals, but they didn't always work and they were hard to use, the report said. Also, Puerto Rico hospitals didn't have adequate power because FEMA couldn't supply enough generators. After providing generators to 30 critical medical facilities in Puerto Rico, FEMA had difficulty prioritizing requests from lower-level medical facilities. FEMA has since added 300 emergency generators to its reserves. 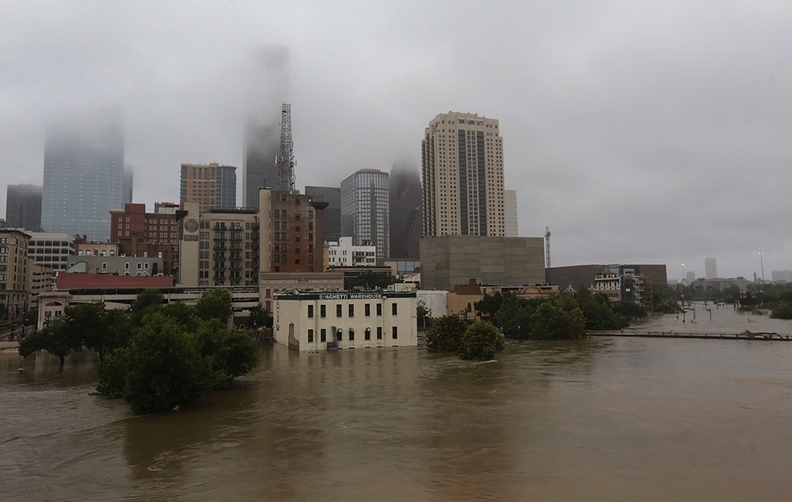 Hurricane Harvey resulted in 103 direct and indirect fatalities and Hurricane Irma resulted in 96, according to the National Oceanic and Atmospheric Administration. The report did not quantify the fatality count from Maria, but one study published in the New England Journal of Medicine estimated that 4,600 died, many from delayed medical care. Community Health Systems, which includes Key West, Fla.-based Lower Keys Medical Center that was evacuated and closed during Hurricane Irma, said most of its hospitals worked through their local emergency management operations centers and didn't have any comment on working with FEMA. Other providers in Florida, Texas and Puerto Rico were not able to respond prior to deadline. "The larger systems that had emergency response networks were able to plug in better and faster than some of the smaller ones," Louissaint said. "Certain types of healthcare providers were perceived as more critical—dialysis centers and hospitals. But after the response, there has been greater recognition that pharmacies, clinics and federally qualified health centers have a certain penetration into communities that is critical in these situations." The agency recommended major overhauls of its disaster preparation and operations. To be fair, nearly 4.8 million households affected by the 2017 hurricanes and fires had registered for federal assistance by May 2018—more than the previous 10 years combined. The agency was also short-staffed. FEMA needs to revise its National Response Framework to stabilize critical lifelines and coordination, according to the report. The agency also needs to simplify the process of applying for assistance. The emergency responder needs to develop a more comprehensive understanding of local, regional and national supply chains, as well as cultivate stronger relationships with the private sector. FEMA could have better leveraged open-source information and preparedness data, such as capability assessments for Puerto Rico and the Virgin Islands. It needs to have pre-written contracts ready to sign to efficiently move supplies as well as a healthier rainy-day fund, the report said. The organization is establishing an inter-agency task force that aims to better coordinate utility managers, local and state governments, the U.S. Department of Energy, the U.S. Army Corps of Engineers, and HHS. FEMA should leverage its new integration teams and technical assistance to help states bolster capacity, the report recommended. The agency plans to build a national incident workforce that includes emergency managers from state, local, tribal and territorial governments. FEMA reallocated 80% of its supplies from its Caribbean distribution center warehouse for Hurricane Irma and did not replenish inventory before Maria struck, according to the report. The agency was below its target in certified disaster workers, which slowed decisionmaking. Only 56% of the agency's incident management employees were certified, below its 80% target. FEMA said the certification process should also be updated because it does not reflect employees' proficiencies. FEMA has since created a central location for equipping and training staff prior to disaster deployments. Yet, it's important to remember that FEMA isn't the sole emergency responder in the U.S., Louissaint said. "Being able to rely on other partners that are not usually considered emergency response providers is a critical part of the conversation," she said.